__________ Similar to NAGASONE (KOTETSU) School. KANESHIGE(2) was the teacher of KOTETSU. SUGUHA with ASHI-IRI and ISHIGAKIBA Stone Wall style HAMON. JIGANE, like KOTETSU's, is strong. RYO-WAZAMONO. man. KO-GUNOME MIDARE BA with CHOJI. SUNAGASHI. and of KAZUSA-no-KAMI KANESHIGE. 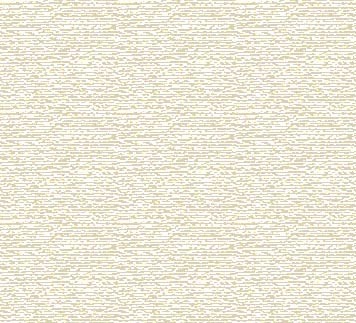 Grass style signature. Shinogi-Tsukuri, Mitsu-Mune, shallow Sori to Chu-Kissaki. Suguha that is slight Asaki-Notare has Kuichigai Ba and Hakikake of Nie. Strongly standing Ko-Itame Hada has Masame in the Shinogi-Ji. Ji-Nie. Hiro-Sugu Asaki-Notare in the upper half in Nioi-Fukashi and Nie. Sunagashi and Kinsuji push a high-rising swell in the mid, which then falls into an undulating Chu-Suguha to the Moto. Saagari Hiro-Sugu Boshi has Ko-Maru Kaeri. Ubu Haagari Kurijiri Nakago has two Mekugi-ana. Ko-Itame hada has profuse Jinie and Chikei. Gunome-Midare Ba iwith Ashi n deep Nioi-Fukashi and strong Nie. Sunagashi and small Kinsuji. Deep Boshi has Hakikake and deep Kaeri. 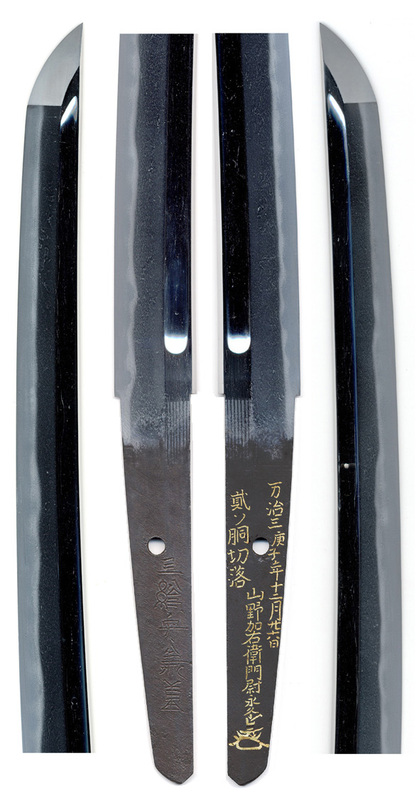 Ubu Kurijiri Nakago, two Mekugi-ana. 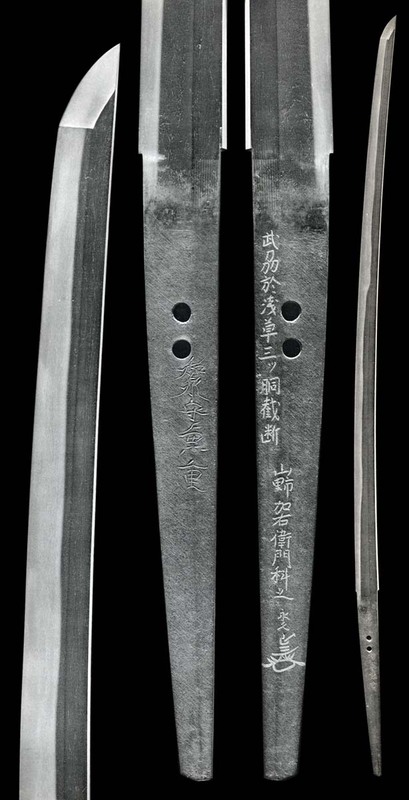 Shinogi-Tsukuri, Ihori-Mune Wakizashi. Full length Bo-Hi resolves in Maru-Dome. Well-knit Mokume Hada is strongly mixed. Kotetsu style Chu-width Gunome, riding an Asaki-Notare line. Nie Sunagashi brushes the distinct Hamon and falling Ashi makes the famous mark. A few small, wet drifts of Nie ride the Habuchi through the upper - which shows an added exuberance above the generally Kotestu-style work. Ubu Nakago, color is dark and excellent. Yasuri stands strongly. The Mei is uniquely stylized. Yamano Nagahisa worked during the reign of the 4th Shogun, Tokugawa Iyetsuna. of the Year of the Rat, 1660, I cut Two Bodies"